Hey all! After tons of travel posting, it's finally back to makeup posting! 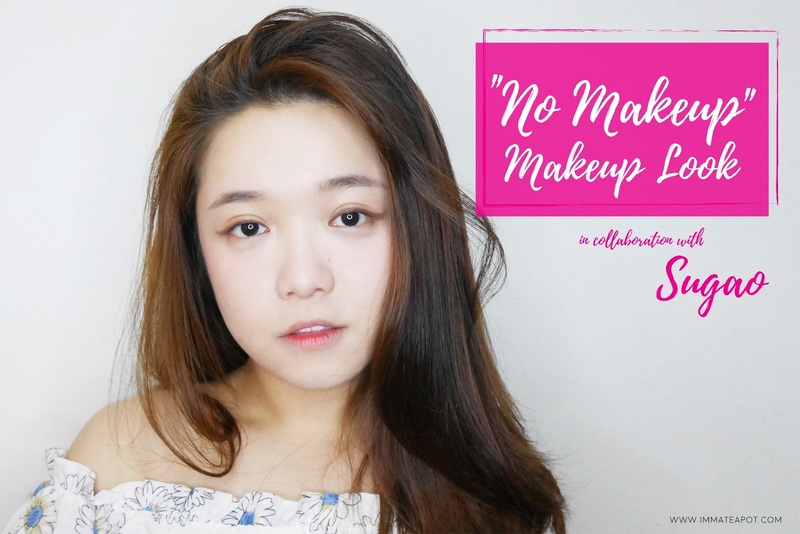 In this post, I'm going to create a "No Makeup" Makeup Look, featuring cosmetic products from Sugao. 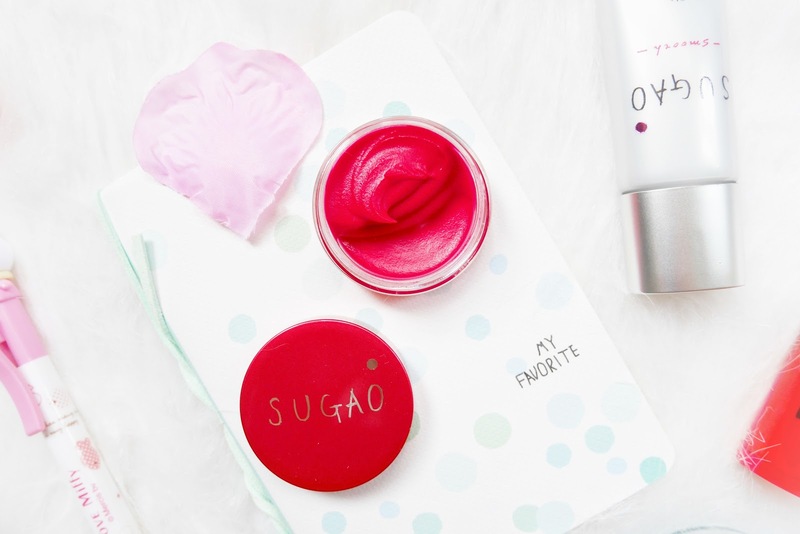 For most of the makeup beginners, they used to worry about over-painting their face with makeup, yet Sugao cosmetic line is good for start up as most of the products come in light weight texture and breathable finish, while all the colors come in neutral tone. Yup! 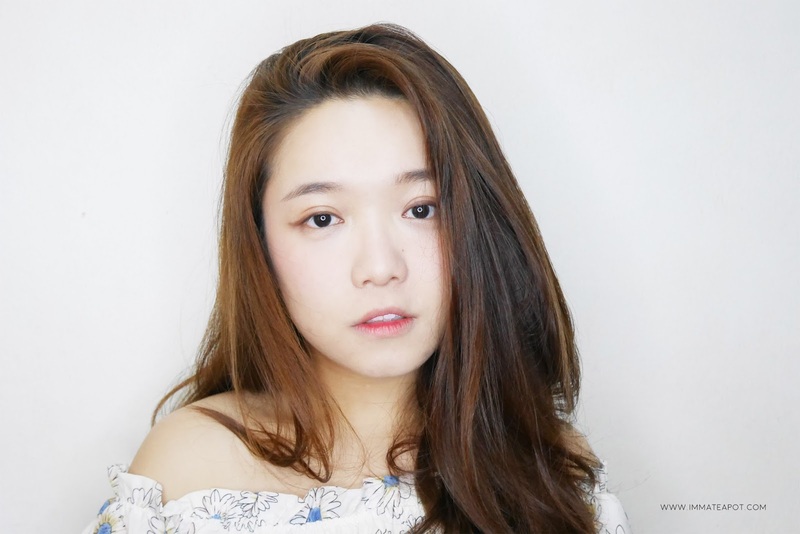 Here goes my version of "No Makeup" Makeup Look with products from Sugao. 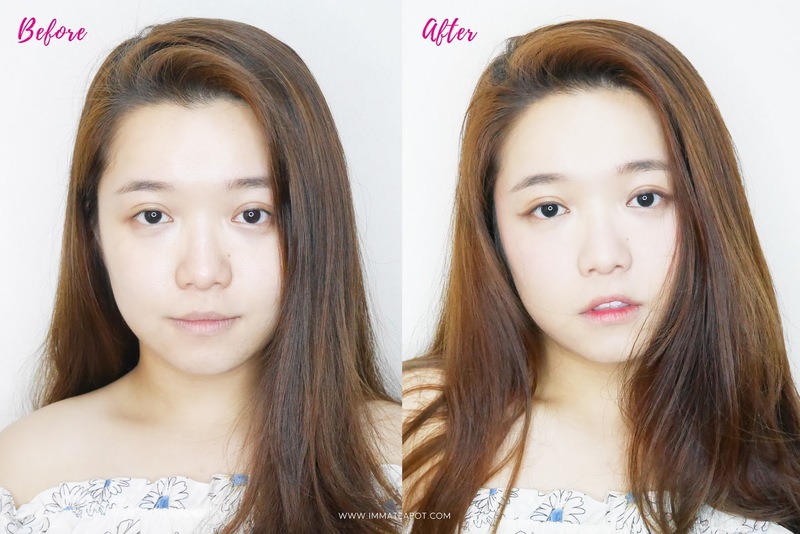 Here's a picture before and after makeup, where I used only 4 products in total to create this look, including eye shadow (will not be featured in this post), Sugao Air Fit CC Cream, Sugao Cheek and Lip and Sugao Lip Tint. Simple, fast and easy! Apply Sugao Air Fit CC Cream Smooth SPF 23 PA+++ in shade #2 Pure Ochre on your face after applying moisturizer. CC cream helps to color correct your skin tone while cover up the blemishes, smoothen the skin and blur out the imperfections. It comes in fluffy souffle like texture which turns from light cream texture to powder matte finish. If you ever wonder what does souffle texture looks like, just try to imagine, eating fluffy cotton candy that melts in your mouth, with a moist touch when it attaches with water. Like mousse! Normally, I will squeeze out some cream on the back of my hand and put a few dots on my face, then blend them out with a cushion sponge. 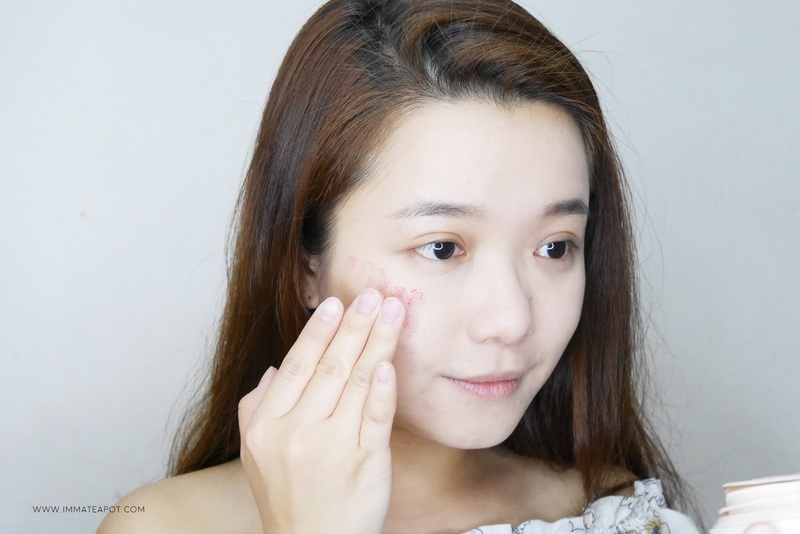 Sugao Air Fit CC Cream is super easy to blend out evenly, as it doesn't dry up that fast nor patchy, moreover, it is build-able. 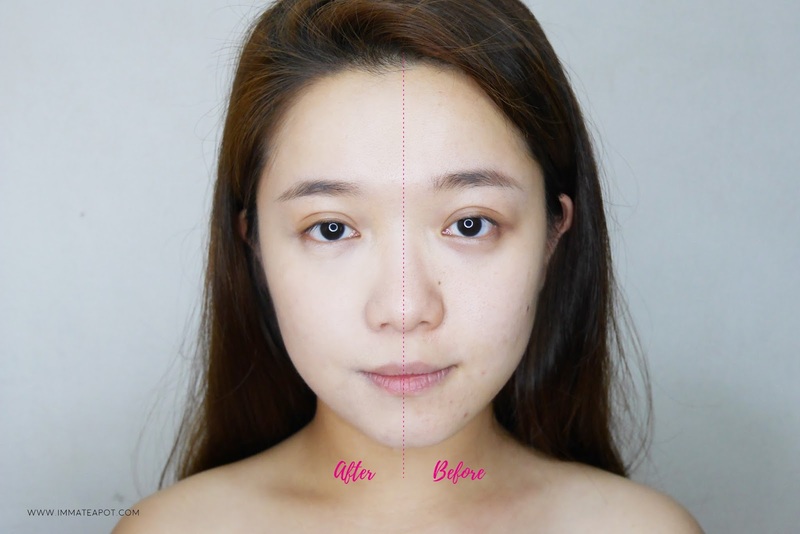 In order to cover up your dark circle, apply another layer focusing at the under eye will do. Surprisingly, I don't feel anything on my skin after the application. It is so lightweight that really claims the term "air fit breathable finish" on skin. 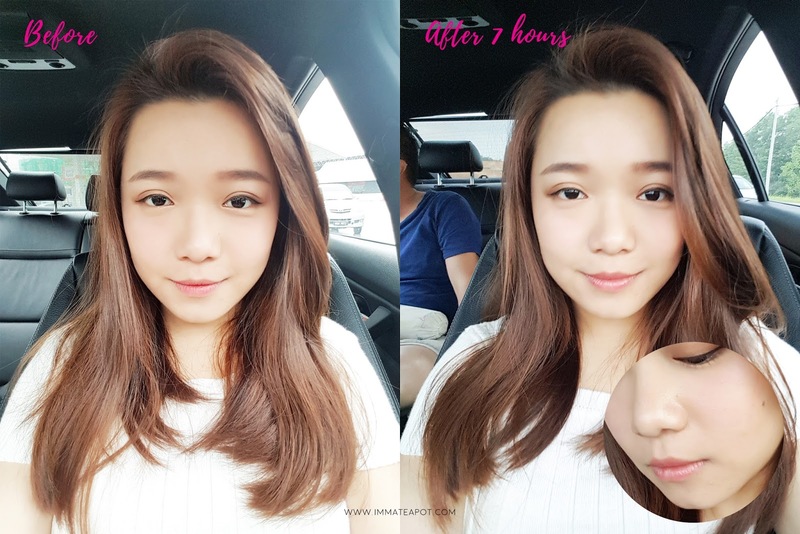 The finish is definitely matte and silky smooth, which give a feeling like you have already applied some light loose powder on your skin after foundation, while there is still some healthy radiant glow within. In terms of the shade, the cream itself actually looks slight darker than my skin tone, yet after blending out, surprisingly it blends so well and naturally with my skin. In terms of the coverage, it doesn't work really well, as it doesn't cover most of my scarring and blemishes. But hey, air fit formula, don't expect much when you opt for the most natural look haha. Anyway, it is still buildable. Apply a little blusher with Sugao Cheek & Lip in shade #natural red on the cheek, to help boosting the overall look. 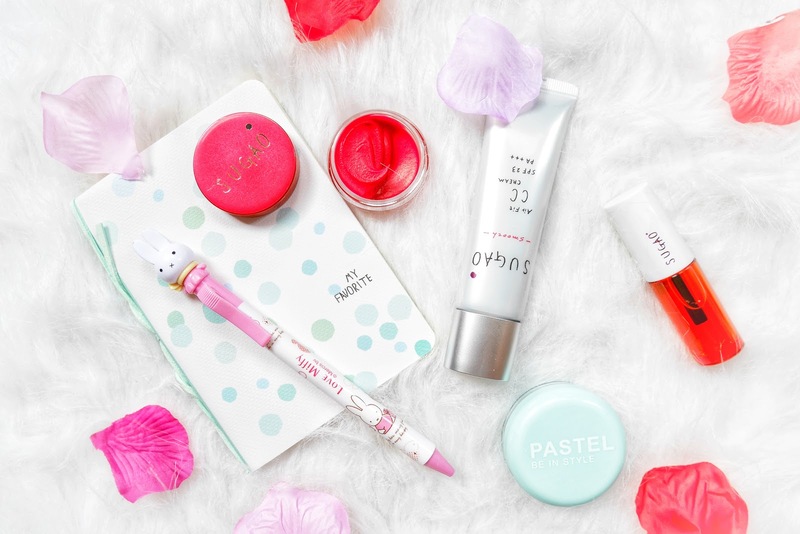 Enhancing our face, making it more energetic and less pale. 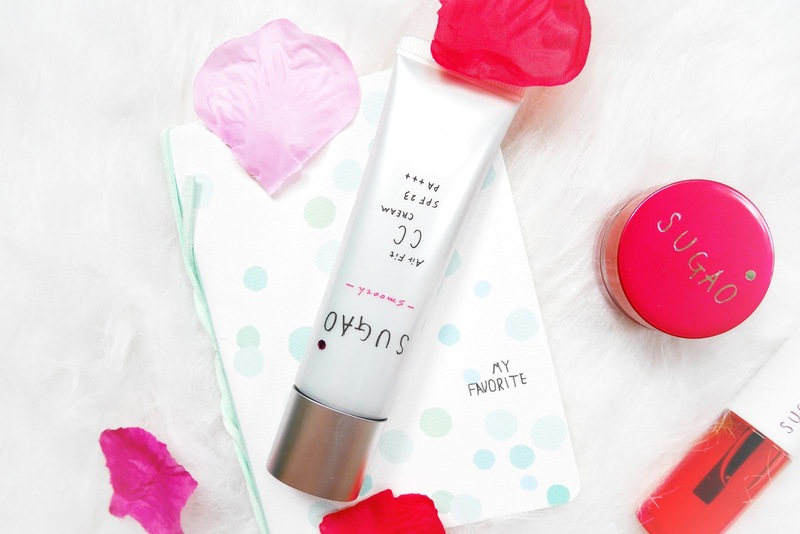 With the hybrid formula, it comes in 2-in-1 function that you can use it for both cheek and lips. I can hardly explain the texture as it is actually alike to the CC cream one, yet this is something like jelly/gel that turns into powder finish. The scent of the whole tub is quite unpleasant, which slightly smells like the burned plastic. I wonder its the scent of the tub itself instead of the product. For my very first impression, there is some remaining residue while doing the blending motion, something chalky that definitely need a few more blend. Yet it is very easy to blend out and the finishing is super natural, as in we are really blushing, with a tiny rosy blush on the cheek. A tiny amount is just enough. Apply it on the cheek, and slowly blend out by dapping them around. Lastly, use the cushion which you used to apply cc cream, directly coat on the blusher. 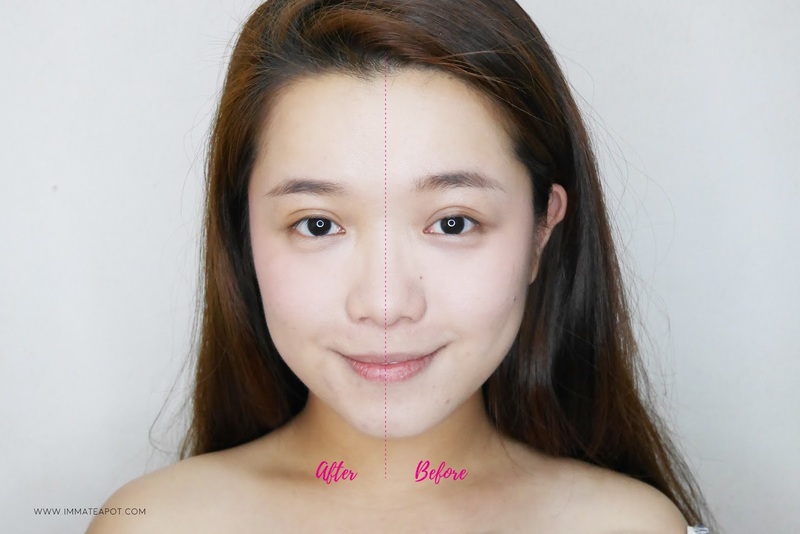 This action helps to create a much soft and natural blush. I really love how it turns out, it is so natural. It is exactly how I look when I flush in red under the hot sun! 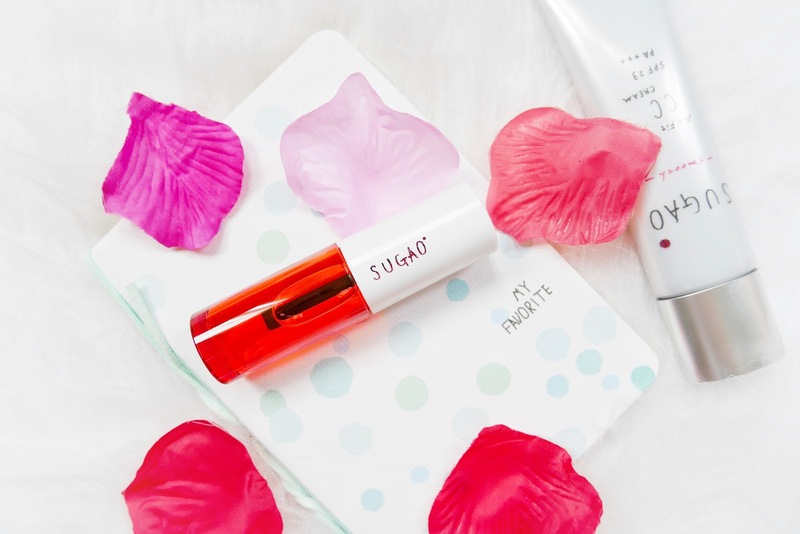 As a final touch, apply Sugao Lip Tint in shade #apricot pink on lips. The texture is pretty milky and watery. It is very easy to glide on and doesn't dry up swiftly that leaving a mark/tint on. Easy to blend out. It comes with no scent. 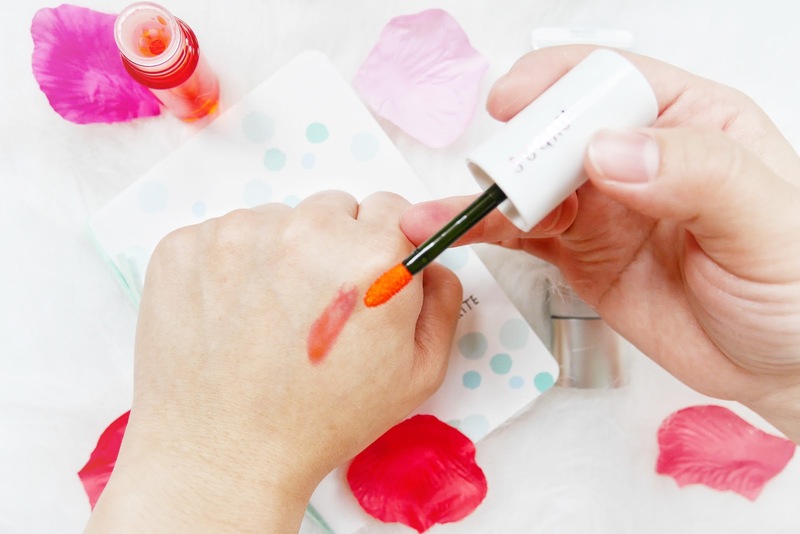 It is quite lightweight, as I doesn't really feel the lip tint on my lips, nor leaving any stickiness behind. 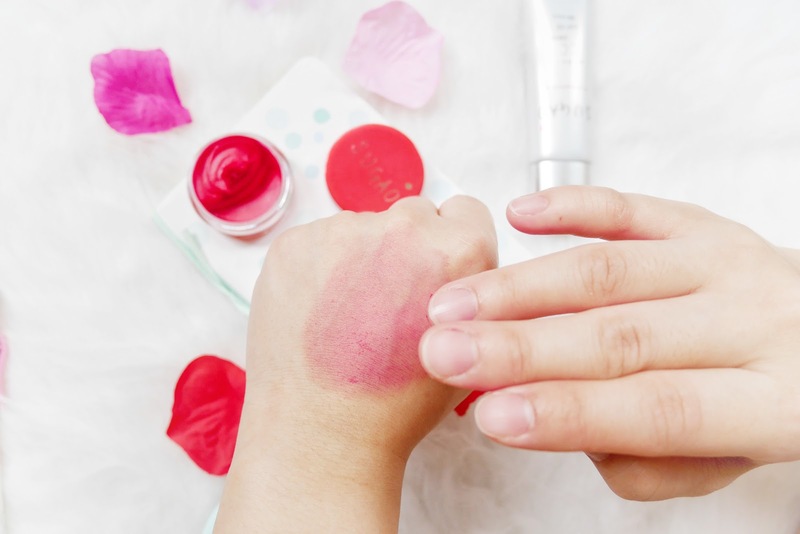 To create gradient effect, you may just apply the lip tint at the center of the lips and blend outwards using your finger. For my personal opinion, I quite love the formulation of this lip tint itself and it doesn't dry up the lips. 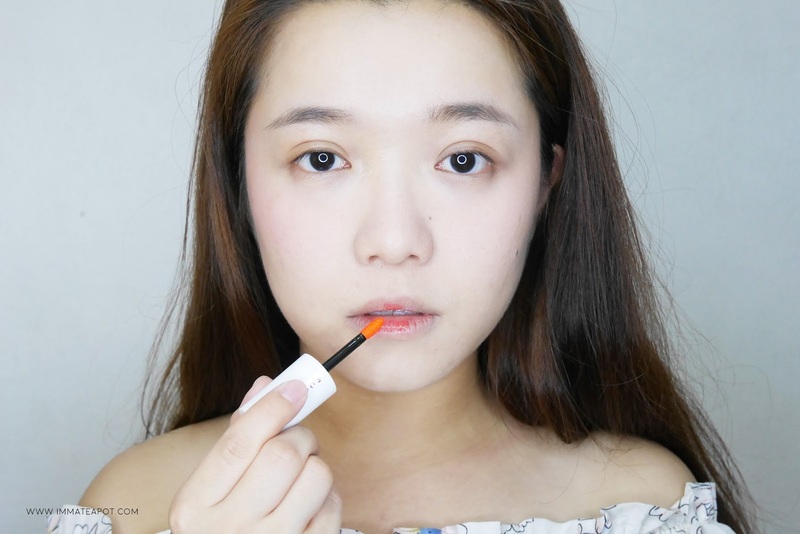 It gives a hint of translucency on the lips which make the lips plumpy and juicy. 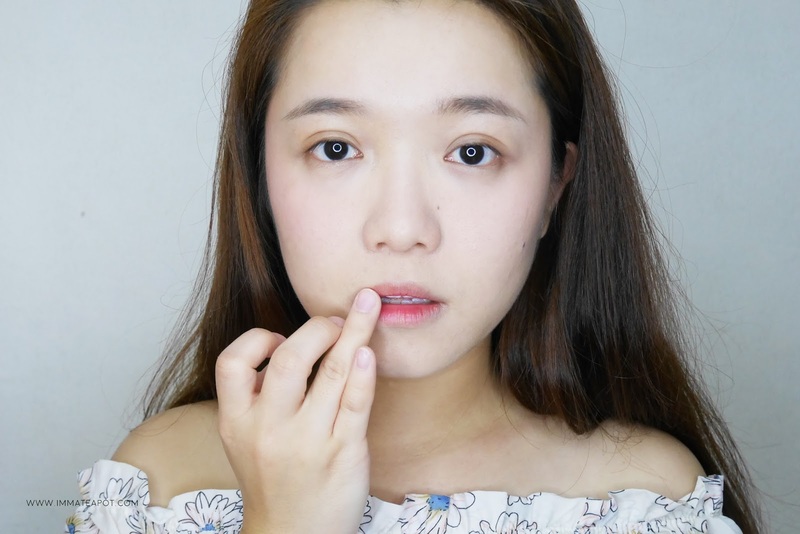 As Sugao used to highlight ' natural bared' look, the lip tint shade is pretty pale when it fully dries up, as it blends into our own lip color, not really vibrant in shade. You may need to build up a few layer. Here's a picture before and after 7 hours. 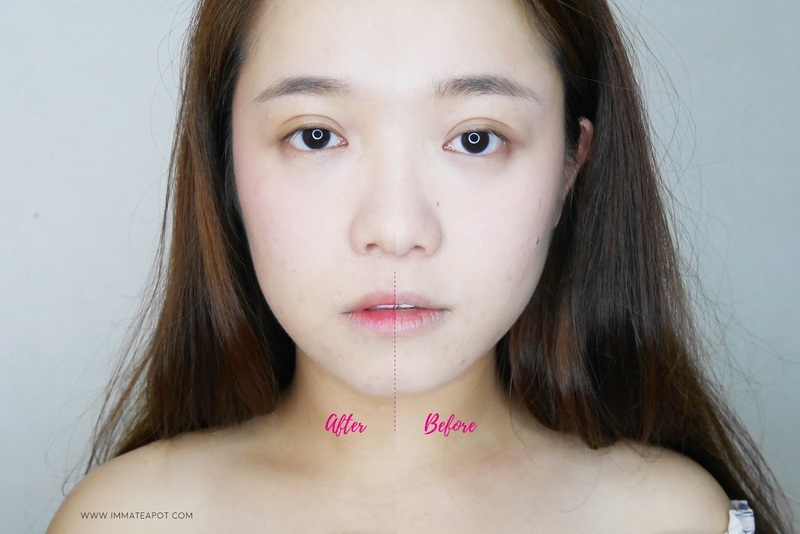 I was really surprised as the CC Cream works so well that it didn't turn patchy or chalky at all after hours, just oily around the T-zone area but the other areas are still perfect and flawless. The blushes still stayed on the skin. Whereas for the lip tint, it didn't stay long, I still need to do a few touch up, as the color will slowly fade off after eating/drinking. I have put on some lip balm to make my lips look more dimensional. Overall is good! Will definitely repurchase the CC Cream! That's all of my "No Makeup" Makeup Look and I hope you guys like it! This look is just perfect for makeup beginners, as it is so natural and 'lighweight' :) The breathable and air fit formula is amazing! Sugao cosmetic products are also available in Watsons outlet nationwide. I'm a great fan of going au-naturel whenever possible. On occasions where I do need to put some makeup on, I go for the no makeup look. It's just me. I don't like anything flashy and shiny, and things of the sort. This post is really handy! More of this kind, please! It look good for somebody who love light weight make up. Wanna try this too. Never tried this brand before. Your makeup looks natural and light. oh my... this is so suit me for lazy heavy make up person..lolz. I have not heard of Sugao before but I really like its light colours, almost like no make up. I actually prefer this style, rather than heavily painted. Will explore Sugao more. I have tried Sugao CC Cream and I am in love with it! 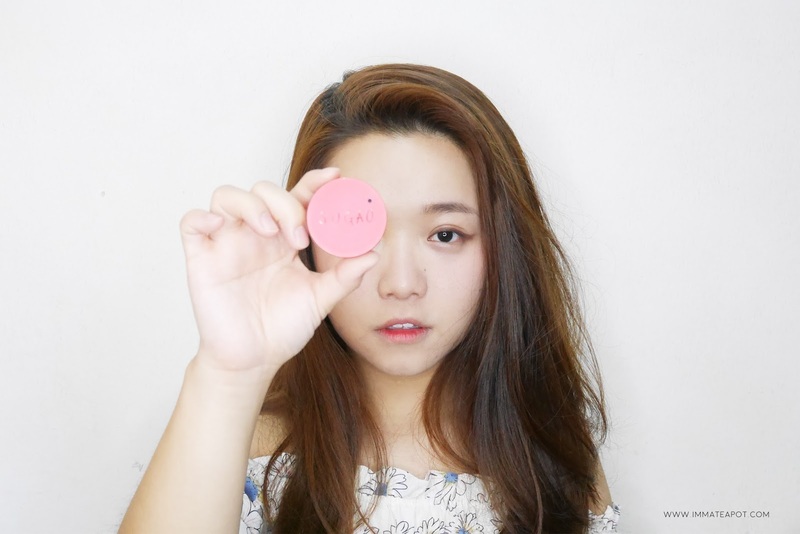 Definitely a good choice for people who are looking for naked makeup cosmetic! I love it! This is what we really called 'No Makeup Look'. Very simple and natural. Yet to try it on my face! The look looks so sweet and natural on you dear! The cheek cream is so soft! You look beautiful with or without makeup! Never heard of this Sugao before, but this is something I need to check. Thanks for another makeup review. I love that no makeup look, coz its practical and fresh. Youthful looking! And boyfie doesn't want to kiss me with heavy makeup, lol. More Cashback on Black Friday Cyber Monday!